Do you enjoy the benefits of home gardening? Home gardening is a fun hobby which requires a lot of physical activity. 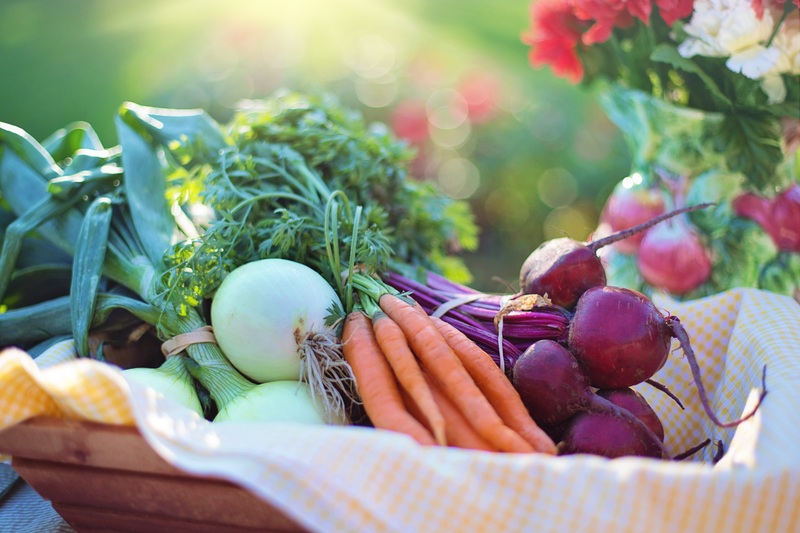 Growing your own produce is not only less expensive, but also beneficial for your physical and mental health. • The physical activity involved in various gardening tasks is beneficial not only for older people but also for young adults. Past researchers prove that gardening helps reduce the level of blood pressure and cholesterol in older adults. A new South Korean study also confirms that gardening offers similar health benefits to young adults too. • If you’re a home gardener, you are likely to eat more fruits or vegetables than your non-gardener counterparts. 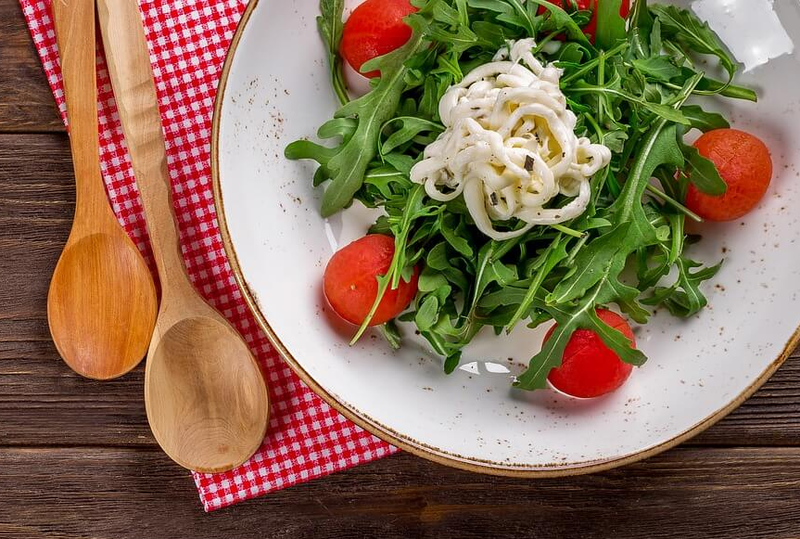 A US study focusing on older adults found that people involved in gardening were likely to consume more vegetables compared those who didn’t. • Gardening offers physical health benefits. And, it is also good for your psychological well-being. Researchers in Taiwan reported that people often engaged in gardening to enhance their mood. Gardening not only provided people with an easy escape from the worries of everyday life but also gave them a relaxed and optimistic feeling. • Home gardening is rewarding. Watching your fruits or veggies grow gives you a sense of accomplishment and makes you realize your efforts are well worth the task. • Gardening helps you eat fresh foods. Once you have started your home garden, you can become habitual of eating fresh fruits and vegetables. The fresher the food, the better the flavor in most cases. 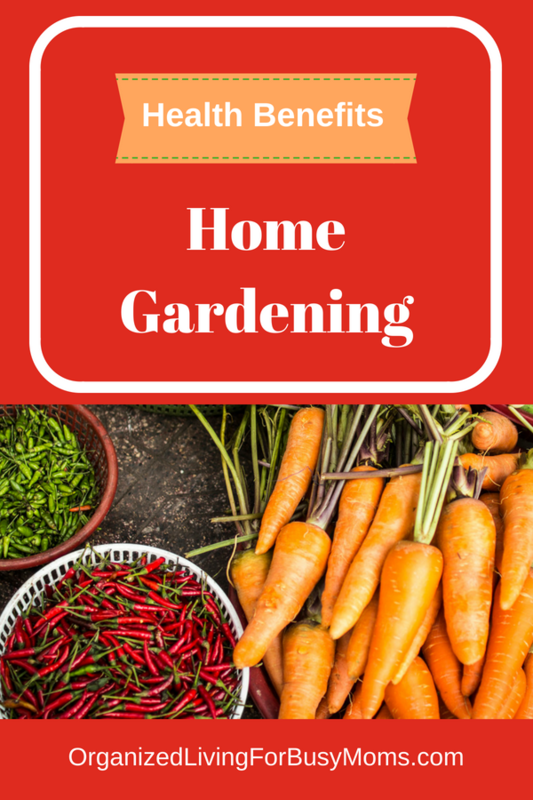 First, benefits of home gardening is a great way to add to healthy living. Second, gardening helps reduce stress and improve your mood. Next, it is rewarding and provides a sense of accomplishment. In addition, you will have access to more fresh foods. As a result, you gain health benefits from the foods you harvest. Do you love gardening? What do you like to plant each year? Feel free to share with the Organized Living For Busy Moms community! Others enjoy seeing your thoughts and ideas, too!